Affordabook – Comparison shopping via their 20 partner sites. Amazon – Low prices on new and used books, of course Amazon has text books! BargainBookMole.org – A comparison site. Offers a downloadable browser add-on in addition to the website for quick searching. BigWords – Buy, Rent or Sell textbooks. BookFinder – A comparison site, has a special focus on international editions, allowing users to search for books written in Dutch, English, French, German, Italian or Spanish. BookRenter – Rent textbooks, free shipping and free returns. Return within 21-days with no charges. Campus Book Rentals – Another textbook rental site, but this one allows highlighting. You also have the option to rent out your old textbooks and earn a little money. Chegg – An online community for students. Buy or rent textbooks, read course evaluations, post questions to a live community for help with homework. 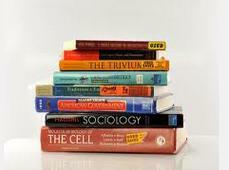 Get Textbooks – a very simplified site for looking for textbooks. Offers price comparisons. Half – Sister site to eBay. Choose books by condition, price, and or location of seller (for possibly a speedier transaction). If you are an eBay user, you will use your eBay ID for buying. Skyo – Options to buy or rent textbooks. Rentals are unique in that you can choose the length of time in which you rent the book, possibly saving money on rental fees.